Alex went through another bout of sickness two and a half weeks ago, which was supposedly our spring break week (although we homeschool, I try to follow our school district’s calendar). He had high fever and the works, again, and it went on the entire week. By the fifth day, I was wondering if he’ll ever get over this virus, which he did, just in time for school of course. Poor kiddo! As for me, I took the opportunity to cook in bulk and freeze. I didn’t bake much and I definitely didn’t document anything I did. Sorry, guys! 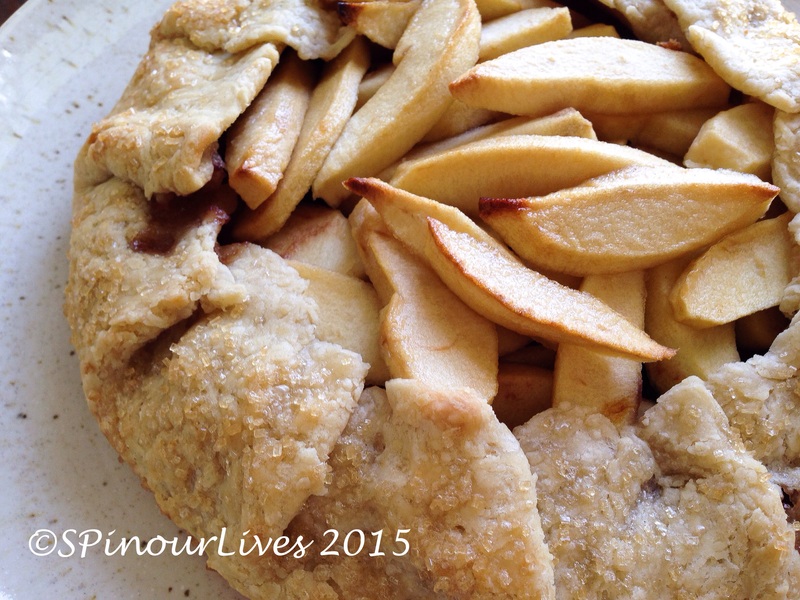 I did however, take photos of the apple tart I made last Friday. The filling was delicious, if I may say so? :) However, the crust didn’t turn out exactly the way I had hoped. It’s your typical all-butter pie crust but with a little addition of baking powder. 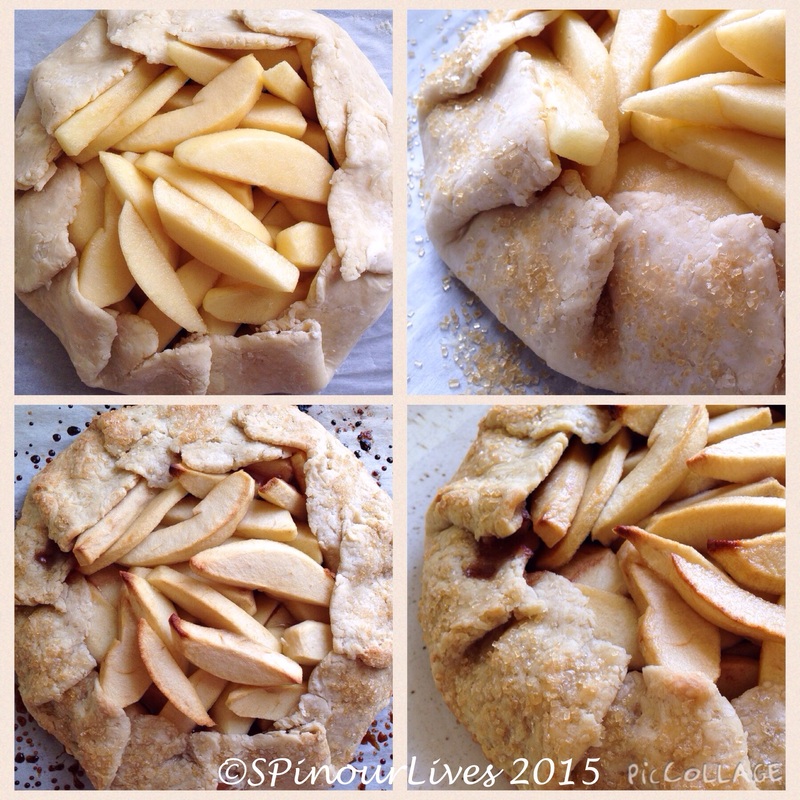 The baking powder is supposed to make the crust extra light and crispy, which it did partially. The top part turned out exactly that but the bottom layer, I felt was harder than crisp which made the tart hard to cut through. Keith and I talked about it and in hindsight, we think the problem is actually not the crust itself, but the layer of cranberry sauce I spread on the dough before piling up the apple. We think that the sauce actually caramelized, therefore making the bottom layer hard, instead of light and crispy. So, I’m not tossing the recipe into the lost cause pile yet but will give it one more try another time. Meanwhile, I’m going to note what I’ve done here…so feel free to just ignore it. 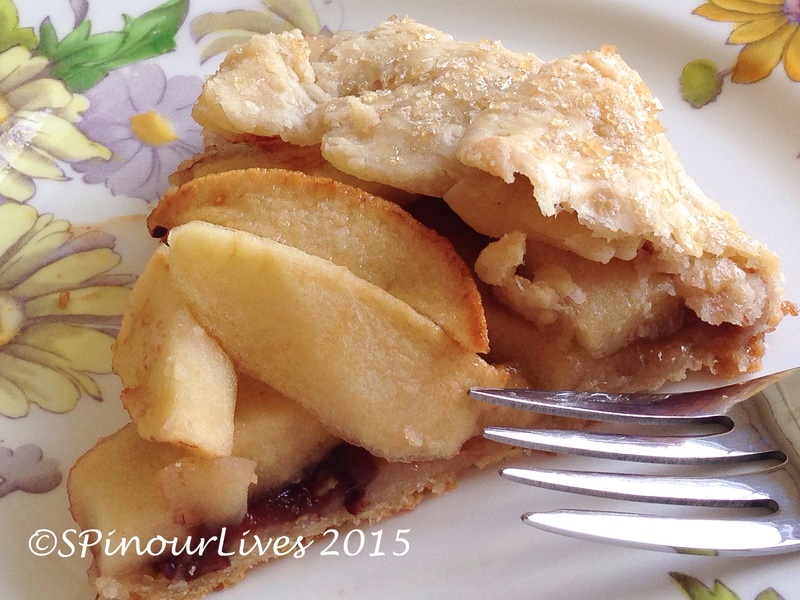 You can also try making the tart with your favorite pie crust recipe or store-bought crust like I did in the Easy Rustic Apple Tart post. Have a great week! In a large bowl, whisk together flour, baking powder, and salt. 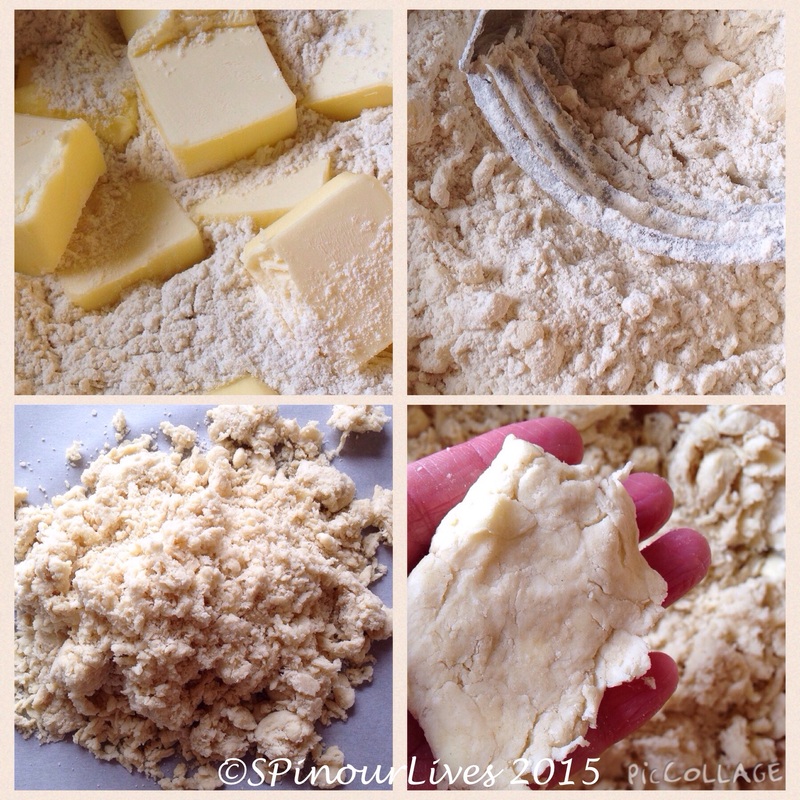 Cut in butter with a pastry blender until mixture resembles coarse crumbs. Add about ½ cup cold water (or more if needed) a little at a time, mixing lightly with a fork. (I find this to be the trickiest part of making a pie – check often towards the end, the dough is just right when it’s moist enough to hold together under slight pressure.) Divide the dough in half and roll each half to about 11½ to 12 inches wide in between two parchment sheets, occasionally peeling back the parchment to prevent creases on the dough. Place dough (still in between parchments) on a large baking sheet. Chill until firm. Preheat oven to 375°F. Combine light brown sugar and lemon juice in a large bowl, then stir in the apples until they are evenly coated with the sugar mixture. Remove pie dough from the fridge. 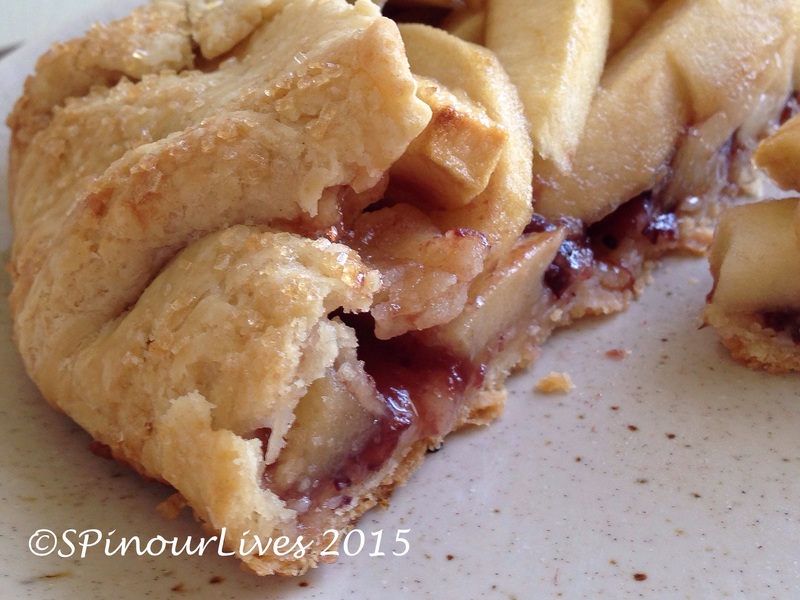 Working with one pie dough at a time, place the dough on a large baking sheet. Remove the top parchment paper, spread ⅓ cup cranberry sauce on the dough, leaving a 2-inch border around the edge (since we think this may have caused the hard bottom crust, I will skip this step in the future). 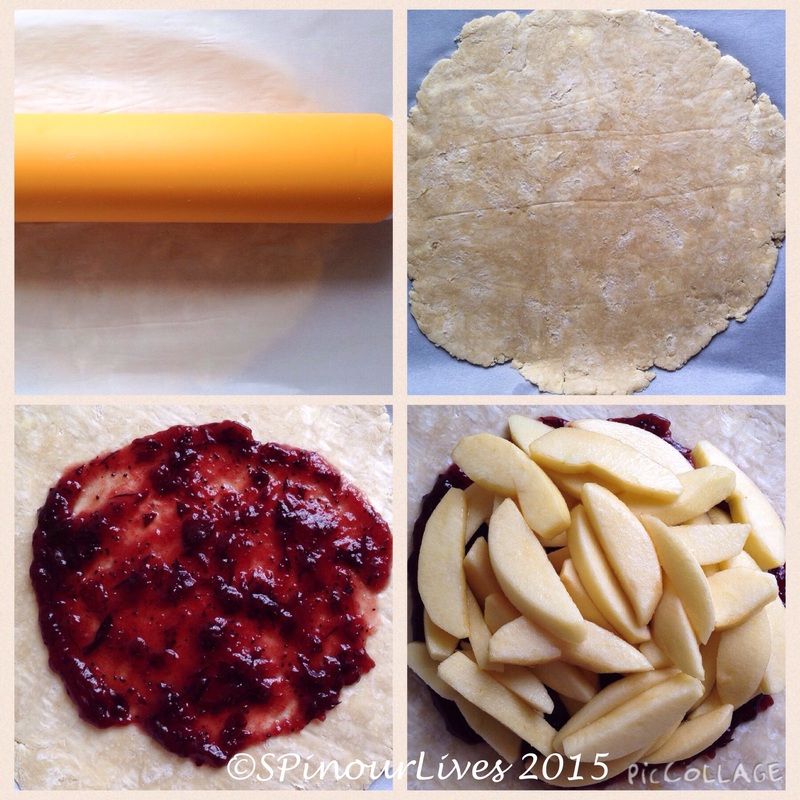 Place half the apple filling on top of the cranberry sauce. Fold the dough over the apples, pleating it every inch or two (if dough is still too firm, let sit for a few more minutes). Lightly brush top of dough with water, and sprinkle with 1 tablespoon turbinado sugar. Repeat with the other dough. Bake tarts until crust is golden and crisp, about 40 to 45 minutes. Cool tarts on the baking sheet on a wire rack for 10 minutes. Then use the parchment paper or large spatula to transfer the tarts directly onto a wire rack. Serve warm or at room temperature. This Tart looks really yummy. Sorry to hear that Alex was ill again. He’s had a rough winter. Also, I can understand your frustration with the repairs. That has really been taking a long time to complete. Hope the outside repairs don’t take as long. Hope everything is going well you both. Love from us all in OH. Hi Chris, so sorry to hear about all the house mishaps you and Keith have experienced of late. I can imagine the mess, debris, noise and all the uncomforts of repair works. Btw, I have a proposal … Move to BE and be my neighbour. How’s that? *wink*. Glad Alex is well again and ready for school. Are you following the 2-week school Easter break? My younger boy went for a ski trip to during the first week of the Easter break. He got home looking like a panda, only that the circles around his eyes had lighter colour than his cheeks, chin and mouth. The result of sun tan. LOL! Love your bakes, as always. And good to read you after such long silence. I would love to be your neighbor! :) We did not have a 2 week break…just one but a much needed one. Glad your boy managed to go on a ski trip on his break. Bet he had lots of fun, as evident from his sun tan. :) And it’s really great to hear from you too. Miss you lots! Hopefully I’ll be around more often.